다보사 석가여래삼존과 16나한상은 17세기 전반기를 대표하는 조각승 수연과 그의 일파가 제작한 불상으로, 물 오른 수연의 중기적 조각 경향이 잘 드러나 있는 불상이다. 특히 여러 존상에서 발견된 발원문(發願文)을 통해 1625년이라는 정확한 조성목적과 조성시기와 제작자, 시·발원자 등 조성과 관련된 구체적인 기록을 남기고 있어 이 시기 불교조각 연구에 귀중한 자료이다. 이 상들은 조선후기 불교미술의 특징인 대중적 평담미와 수연이 추구한 중량감 있는 형태미를 잘 간직하고 있고, 더불어 사실적인 묘사에서 작가의 개성과 솜씨가 마음껏 발휘된 완성도 높은 작품이다. 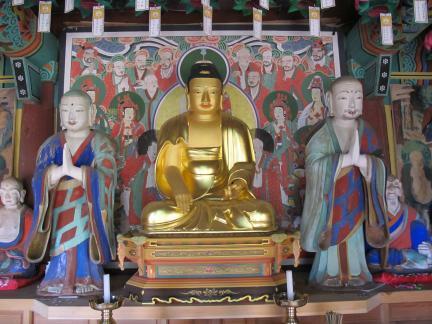 The Shakyamuni triad and sixteen Arhats enshrined in Dabosa Temple in Naju were made by a team of monk-sculptors led by Suyeon, who is widely regarded as the leading figure of Korean Buddhist sculpture in the early seventeenth century. 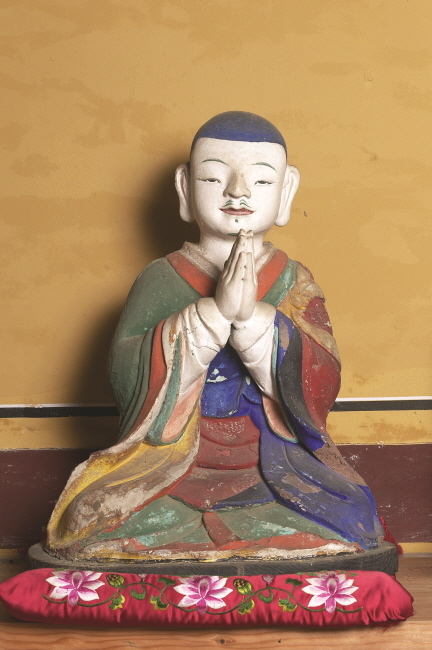 The texts of several written prayers discovered with the statues reveal that they were made in 1625, and also contain detailed information about the artists who participated in the project, along with its patrons and sponsors, making it a valuable material on Korean Buddhist sculpture of this period. 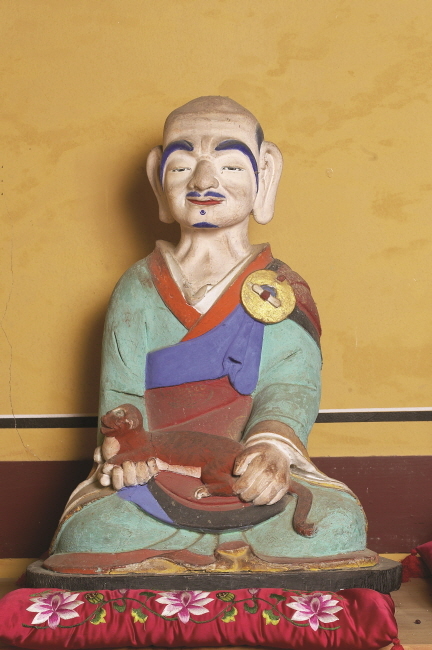 The statues display an ideal harmony between the simple aesthetic sensibility of ordinary Buddhist worshippers of the period and the sophisticated artistry sought by their creators, including Suyeon.